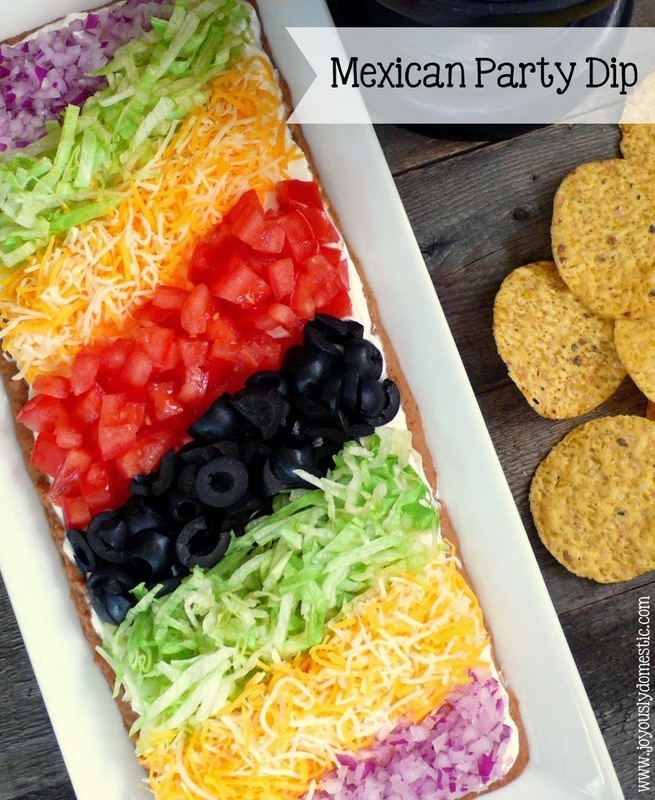 I have made this dip for years for family gatherings and parties. Often, I will make it on a circle serving platter and lay out the toppings in a "bull's-eye" pattern. It is always a huge hit with any crowd. If you're making this more than an hour or two in advance, I would recommend waiting to add the tomatoes until shortly before serving so that they do not add too much moisture to the top of the dip. It does take a little extra time and patience to arrange the toppings in rows as compared to just piling the toppings on. But, the presentation always wows and it allows people to possibly avoid portions of the dip they may not care for. In a medium mixing bowl, combine the beans with the cumin, chili powder and garlic powder. Spread the bean mixture evenly onto a narrow, rectangular serving platter. (A square or circular platter can be used, as well.) Next, spread the sour cream in an even layer on top of the beans. Place the lettuce, black olives, cheese, onion and tomato in even rows across the sour cream. Alternately, the toppings can be placed on top of each other - starting with the shredded lettuce and followed by the layering of ingredients per your preference. Serve with tortilla or corn chips for dipping. I love this idea because I have lots of onion haters in my crowd of friends. Nobody wins, because I love onions - if I leave out the onions, I'm disappointed, but if I put 'em in, they can't partake. This is so smart!